This maxi skirt was definitely outside my comfort zone. I was a bit indecisive at first - but I've grown to love it! It goes with just about everything. I don't have the energy for a longer blog post - I'm killed out after the mental rollarcoasters at Parc Asterix today! You look very chic. 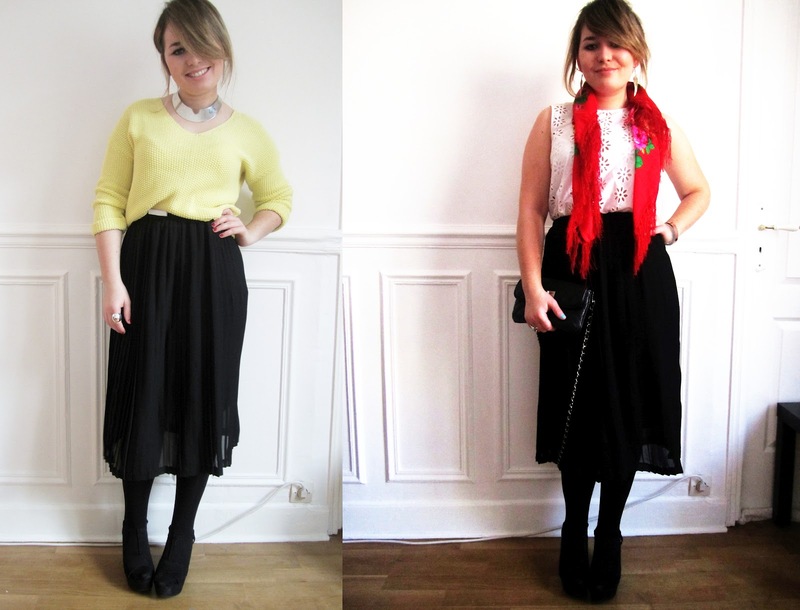 I'm a bit scared of midi/maxi skirts! Must be brave!